Lower Southampton Township Parks & Recreation - Times Publishing Newspapers, Inc. Registration is currently open for Lower Southampton Township’s Winter/Spring and Summer programs for all ages. They offer everything from young children’s programs to Zumba, which is offered four nights a week at two different locations. 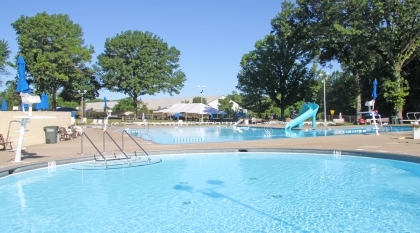 At the Dolphin Swim Club, the Township offers something fun for everyone! There is a large main pool including a winding waterslide, diving board, and a lap lane. It also has a heated therapy pool with aquacise classes three days a week. For the young ones, it has a toddler splash pool with a large dolphin sprayer sure to entertain the kids for hours. Don’t worry about packing snacks because a full service snack stand is available on site serving up all your favorite foods. The 2019 Lower Southampton Township Summer Camps offer six different camps at three locations for children ages three and up. The Township provides an excellent summer camp experience at a very affordable price for both residents and non-residents of Lower Southampton Township. For more information on Lower Southampton Township Parks and Recreation, visit LowerSouthamptonTownship.org under the Parks and Recreation tab. Also, check them out on Facebook, Facebook.com/LSParksandRec.